SAFE-door Industries Ltd, based in Brampton near Carlisle, Cumbria in the UK, lead the field in the development of special purpose doors acoustic, sound proof, industrial steel doors and temperature control insulated doors. Our market leading technically innovative industrial door product range pushes the boundaries of present state-of-the-art-technology and engineering to achieve greater levels of temperature control or sound reducing door performance, whilst minimising the use of raw materials and energy in the manufacture, installation and operation of our special purpose industrial doors. sound attenuating, acoustic industrial door systems. thermal separation industrial door systems. SAFE-door Industries Ltd are a UK based design and manufacture house for special purpose industrial acoustic & thermal doors. 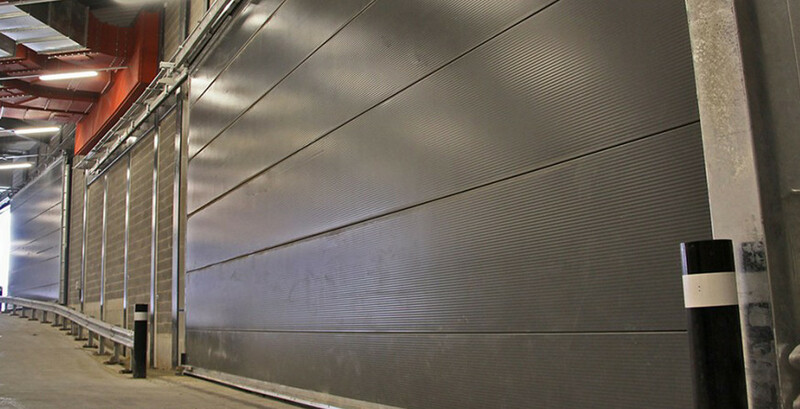 As a specialist industrial door company, we have two very different door manufacture specialisms: sound reduction or sound attenuation and thermal separation. Our fork lift drivers can be very unforgiving. The ten Thermaster doors that you installed over a year ago just keep working, that is why I am ordering an additional two Thermaster doors. We buy a wide variety of different products from SAFE-door Industries and the quality, lead time & performance is the best in the market. As an approved partner, their level of customer service and support is exceptional and they are always on hand when needed. We are very pleased with our Thermaspeed door, we have had no problems with it at all since it was installed. We were impressed by the rapid installation of the Soundroll 30 doors which have made a distinct difference to sound quality in the stages. The benefit to us and production is notable. It was always a struggle to keep the temperature in the store low enough, but since we have installed the two Thermaster doors we have been able to run the store colder and reduce the number of defrosts needed. Since the doors have been installed they have had no problems. There have been no issues with sound levels throughout the building, even when a hockey game is on, and that is when the arenas are at their loudest. I am very pleased with our new door installations and have been impressed by your installation team's efficiency on site. SAFE-door Industries Ltd are a UK based design and manufacture house for special purpose doors. As a door company, we have two very different specialisms: sound reduction and thermal separation. In the acoustic door market we excel in the design, manufacture and installation of our range of sound attenuating doors. We offer innovative market-leading products and are continuously developing new designs to provide customers with application-specific solutions. We serve markets as diverse as industrial equipment test cells to state of the art entertainment arenas and TV production facilities. 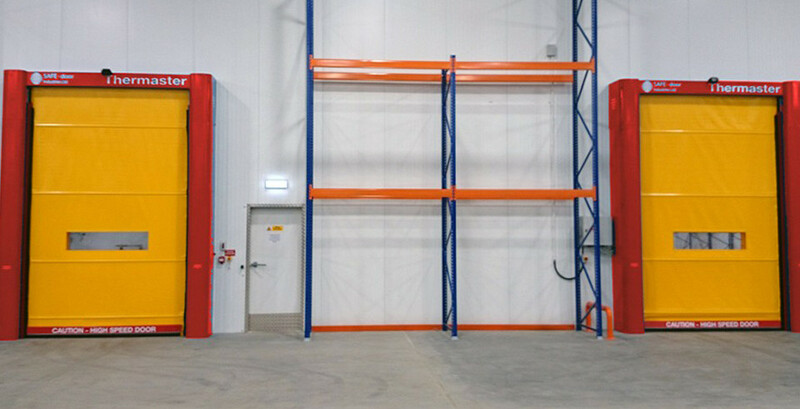 Our thermal separation product line ranges from our top of the range Thermaster insulated rapid roll door for the busiest of distribution centres, to our hinged Thermax personnel doors for hygienic food production plants. Our wealth of knowledge of the market, and ability to engineer door manufacturing solutions to suit most applications, allows us to provide a unique service to our client base in both of our key markets. SAFE-door Industries Ltd have manufactured sound proof doors and thermal insulating doors for an impressive list of high profile customers including Cold Storage facilities, Food Manufacturing plants, Pharmaceutical facilities, TV Studios, Theatre and Concert Venues as well as industrial Research and Development facilities both in the UK and overseas.